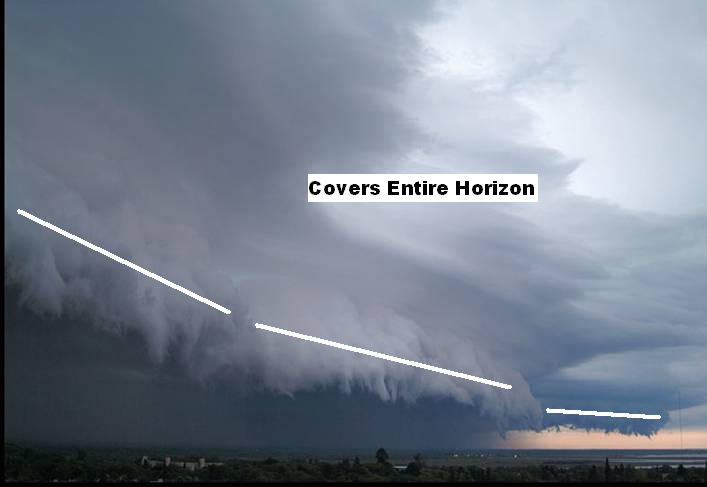 Shelf clouds are often associated with squall lines, and many times they are reported as wall clouds, funnel clouds, or rotation. 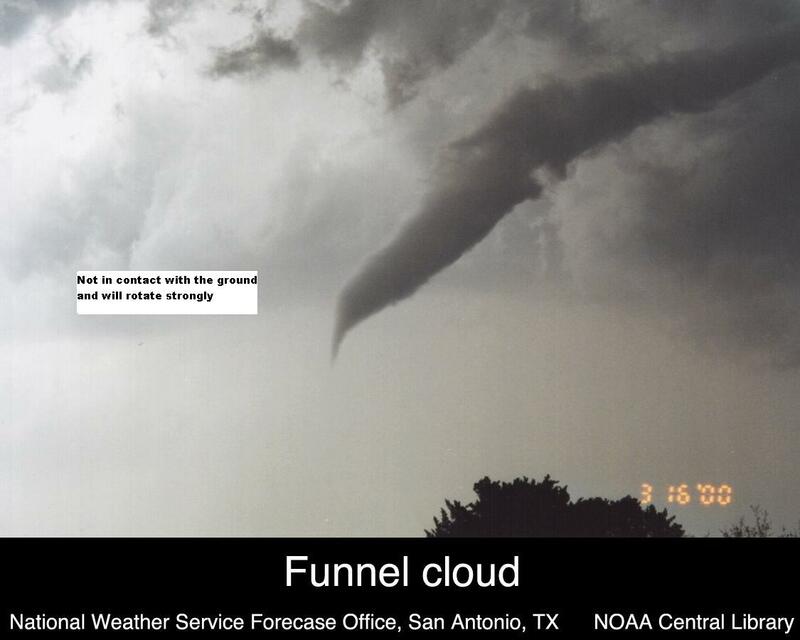 Below is a brief review of what a shelf cloud, wall cloud, and funnel cloud look like. Remember, that the main threat with any squall line is severe damaging winds associated with the shelf cloud, although brief spin-up tornadoes can occur. Often times, these tornadoes are rain-wrapped and short-lived. A shelf cloud will usually be associated with a solid line of storms. The wind will come first with rain following behind it. It may appear to rotate on a horizontal axis. Wall clouds will rotate on a vertical axis, sometimes strongly. 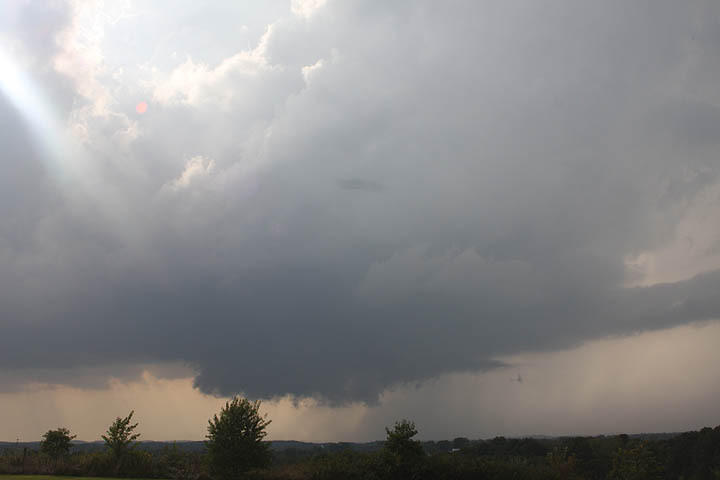 The wall cloud is much smaller and more compact than a shelf cloud and is usually under a rain free cloud base. 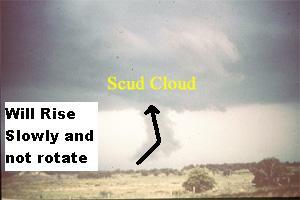 Scud clouds are often mistakenly called wall clouds or funnel clouds. In reality, these are just rising clouds due to increased low level relative humidity. They will not rotate and will rise slowly.